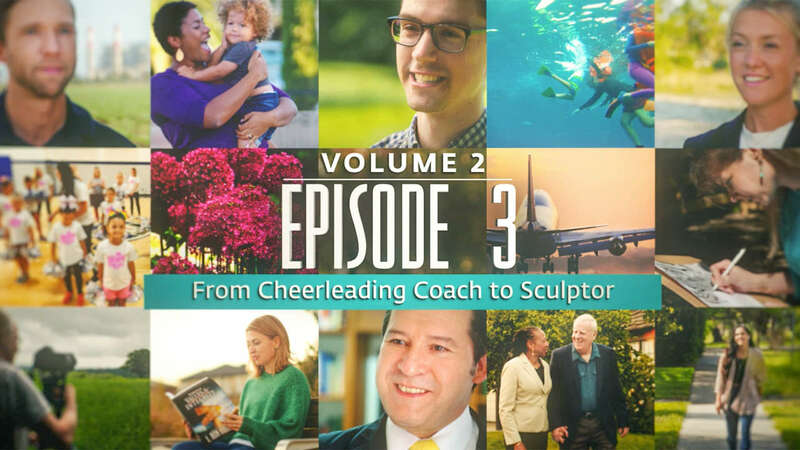 A cheerleading coach at the top of her game, plus a stone-sculptor from Japan, and an anti-aging doctor from India are just a few of the many people featured from around the world who discuss the positive impact Scientology has had on their lives. Meet Julie, a cheerleading coach from the United States. “One of the first things I did in Scientology was How to Achieve Self-Confidence,” says Julie. Meet Anju, a medical doctor from India. “Scientology helps me with everything. It helps me every single day doing what I do,” says Anju. Meet Danielle, a flight attendant from South Africa. “I’ve always been searching, searching for the answers, things that make sense,” says Danielle. Meet Braulio, a lawyer from Costa Rica. “Scientology gives me the tools that I need to organize my life, to organize my job to be successful,” says Braulio. Meet Jordan, a musician from the United States. “Doing Scientology and studying the courses, I felt my ability to express myself with music was dramatically increased,” says Jordan. Meet Arthur, a photographer from Canada. “I wasn’t a photographer at first,” says Arthur. Meet Willetta, a mother from the United States. “I would not be this good at parenting if it wasn’t for Scientology,” says Willetta. Meet Mayela, a production manager from Mexico. “Scientology has helped me achieve more confidence in myself,” says Mayela. Meet Richard, a paint contracting business owner from the United States. “I learned in Scientology that I am a spiritual being,” says Richard. Meet Darren, a father from the United States. “It was life-changing because literally every day of my life I use the information I learned,” says Darren. Meet Cristian, a singer from Italy. “With the Scientology courses, it makes me better, it makes me more confident,” says Cristian. Meet Tanja, a project manager from Australia. “After finding Scientology I can be me, and that’s what the great thing is—I can be me,” says Tanja. Meet Jayne, a cleaning business owner from Sweden. “Scientology helps me with my job by making it smoother,” says Jayne. Meet Mair, a computer programmer from South Africa. “Scientology helps me in many different ways,” says Mair. Meet Marsie, a wife and mother from the United States. “To me, Scientology is knowledge, knowing, looking,” says Marsie. Meet Kata, an artist from Hungary. “As a Scientologist, what I like most is that I know the correct answers, and if I have any issues I know where to reach out and find solutions,” says Kata. Meet Larisa, a musician from Russia. “Before Scientology I just played music—but now I’ve started to feel that the sound coming out of my instruments has become one with me,” says Larisa. Meet Zalia, a performing artist from Australia. “When I did Scientology I became stable,” says Zalia. Meet Bernard, an educator from the United States. “Scientology gives me the basic fundamental tools that I apply,” says Bernard. Who are Scientologists? Meet Anna, a mother from Ukraine. Meet Lidia, a dancer from Canada. “Scientology helps me with my life in many, many, many ways,” says Lidia. Meet Martin, an event promoter from the United States. “Before I was in Scientology, I had a lot of trouble with relationships,” says Martin. Meet Yoshikawa, a stone sculptor from Japan. “I would have to say that my life would be much darker if I didn’t know Scientology,” says Yoshikawa.